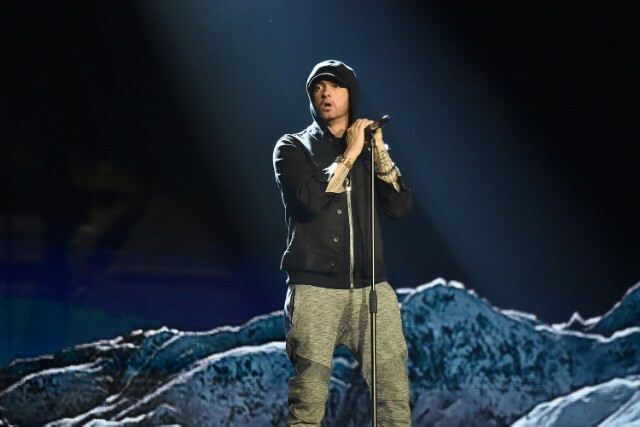 Eminem is drawing criticism from festival-goers who were frightened and upset over the rapper’s use of realistic gunshot sound effects during his headlining performance at Bonnaroo Saturday night (6/9). Many fans screamed and ducked as a series of loud blasts rang through the crowd during Eminem’s performance of “Kill You,” from his 2000 album, The Marshall Mathers LP. The nervous reaction arrives at a time when concertgoers are on edge following the deadly mass shooting at last year’s Route 91 country music festival in Las Vegas. Eminem had not commented about the Bonnaroo incident at press time. See more reactions on social media below. i hate to be the one to say it, but being someone who suffers from very mild PTSD, it was EXTREMELY irresponsible and distasteful to end songs w the shot gun sound effect. i have grown up loving eminem and his music but i was extremely triggered to the point of tears. to hear a gun shot sound effect and see the entire crowd drop to the floor out of instinct is not funny, cute, or amusing. this is the sad reality that we are living. this is not funny or even something to be joked about.